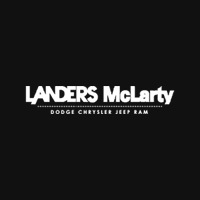 We at Landers McLarty Dodge Chrysler Jeep Ram are proud to serve Alabama drivers from Huntsville to Florence to Scottsboro with quality Dodge, Ram, Chrysler and Jeep vehicles, and we’ve been doing so for nine years and counting. Our dedication to customer service has made us a favorite new and used car dealership with Tennessee and Alabama drivers who put a premium on the dealership experience. You don’t have to take our word for it, just check out our customer reviews. With models like the Dart, Durango, Ram 1500, Grand Cherokee, Wrangler, Pacifica, 300 and Charger, we have something for every taste and need. Our massive inventory ensures we have not only the model you want, but the color and trim level you desire as well. Don’t forget that every new car purchase comes with two years of Owner Care. We are not just your local Huntsville Dodge, Ram, Chrysler and Jeep dealership, we also provide a full line of auto service dedicated to our Alabama and south Tennessee customers. From Dodge, Ram, Chrysler and Jeep service, maintenance and repairs performed by expert mechanics, to OEM Dodge, Ram, Chrysler and Jeep auto parts, to low APR auto loans, Landers McLarty Dodge Chrysler Jeep Ram is the smart choice for your automotive needs. Please don’t hesitate to stop by and say hi! We’re proud to be a part of the Huntsville, Alabama community.